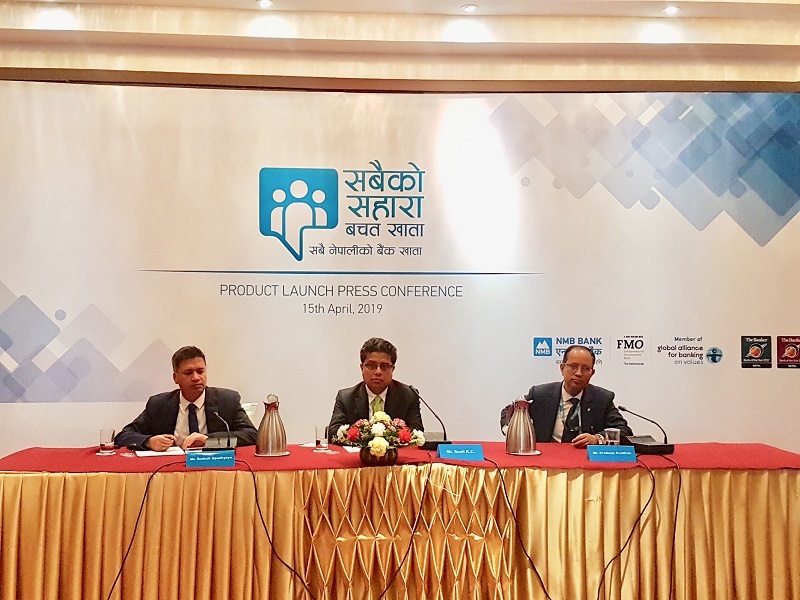 Kathmandu : The NMB Bank has announced the launch of a special bank account “NMB Sabaiko Sahara Bachat Khata” in line with the government’s ‘Lets open bank account campaign 2076’ launched yesterday. Bank CEO Sunil KC said at a press meet in Lalitpur today that the account could be opened at a zero balance and the bank would immediately deposit Rs 100 in it. The account further offers highest interest rate, free 'demat' account, internet banking and mobile banking plus the option to avail either NMB visa debit Card or NMB delight card which offers free withdrawals from any ATM across the country. Insurance facility up to Rs one million against 18 critical diseases, accidental death and permanent total disability is its major highlight.